Wow Katherine you can make anything look stunning!!!!! What a LOVELY thing to say, Pam! Thank you! Love the bunny peeping through those gorgeous flowers. I just love what you do with this frame! So cute and creative every month! Thank you for sharing this good cause with us, Valerie! You have so inspired me. I bought some frames at the thrift store, some chicken wire and then found more frames in boxes I just drug out of storage. I’ll be giving it a go after the dozen other projects on the burner. Even found my mini clothespins. Now, I must get to work. 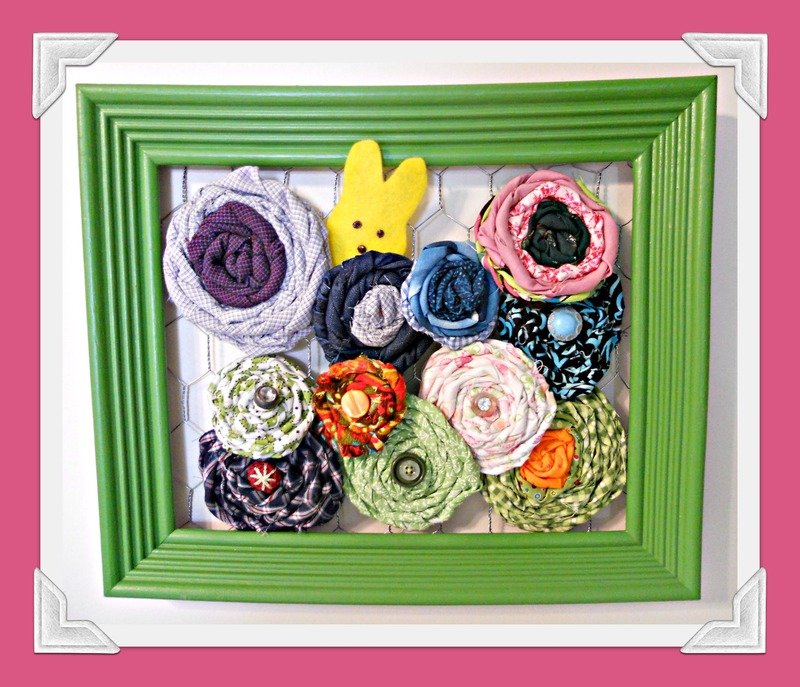 Thanks so much for another fun way to use the frame..
What’s not to like about this?! Looks pretty, sounds easy and provides flowers, which are hard to come by in the northeast! Well then I’m glad I’m not so far off the mark then! 🙂 whew I thought I might be crazy, well there is always that too. Lol. Adorable! Think I need to PIN this! That would be great! It is: Anny Heiberg.